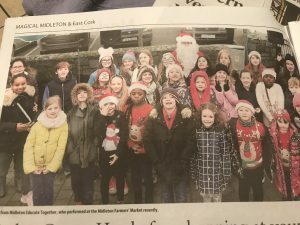 Magical Midleton and the School Choir – Midleton Educate Together N.S. Saturday the 17th of November saw the start of the Christmas festivities in Midleton. Santa visited Midleton and the wonderful Christmas lights were switched on. The school choir were thrilled to be part of the good feeling around the town in anticipation of the official start of the festive season. Even though the Market area was cold and a little damp our school choir warmed everyone up with their happy and glowing songs. 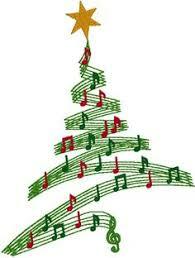 Under the guidance of Rachel Healy the choir are blossoming and gave the East Cork Community a wonderful festive rendition of seasonal song. 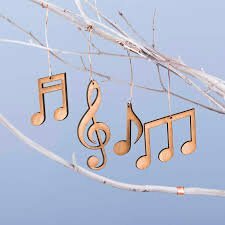 The choir will be singing on Sunday the 25th of November in the Co-op and once again look forward to being supported by our community.